Whew, this has been a whirlwind month. 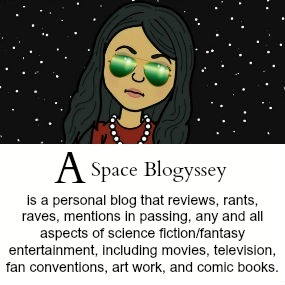 I've had a family emergency, a series of illnesses, and started graduate school all in the same month, so blogging hasn't been at the forefront of my mind. Seriously, I need to apologize to Ryan over at the Matinee. I haven't done a Blind Spot in months. But alas, I've kept a mental tally of everything that piqued my interest over the last few weeks. 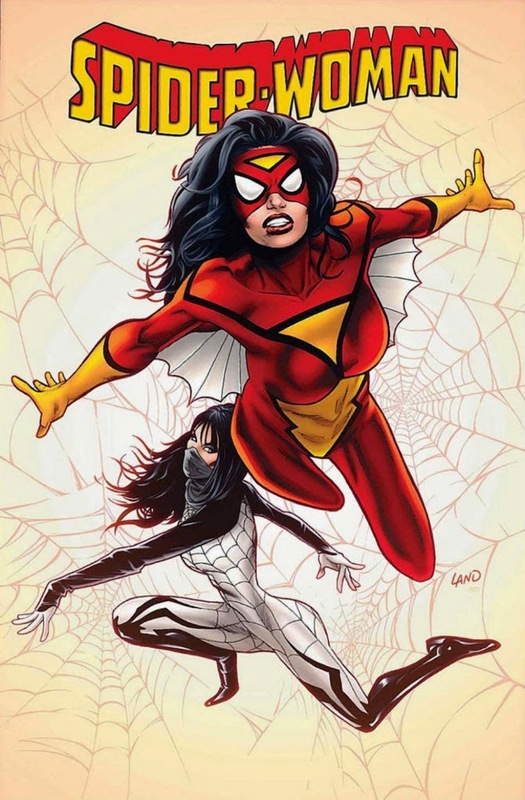 The new variant spider woman cover (seen above) has made the internet lose its collective mind. Legendary artist Milo Manara is the artist behind the controversial variant cover. I say "variant," because anyone who knows comic books knows that this is a collector's edition. The official cover can be seen below. It seems that everyone hates the variant cover (i09, The Guardian, Slate, Elle Magazine, etc.). Even Time Magazine said that a "male hero would never be placed in the same physical position." Admittedly, when I first saw the cover, I thought "eek, it's awful," but I try to listen to all sides of an argument before making up my mind. Maddox over at the "The Best Show in the Universe" makes a few fair points. He points out that there have been Spiderman covers depicting Spiderman in very similar ways. Spandex and superheroes has always gone hand and hand, so highlighting every muscle and curve on a superhero's body is nothing new. He also notes that some of the same women decrying the variant cover as "sexist," are gaga over '50 Shades of Grey.' Maddox had me up until that point. When he starts generalizing about women loving '50 Shades of Grey,' he lost me. I for one (and many Amazon.com readers) hated '50 Shades of Grey.' Whether or not the variant cover is simply provocative or sexist, it's definitely done in poor taste. 'American Horror Story' is back October 8th. This year's theme is "Freak Show." 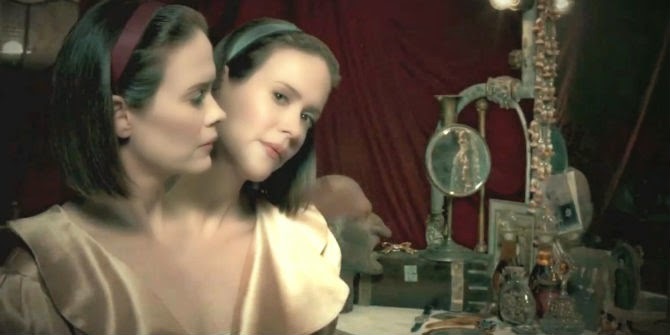 AHS alum, Sarah Paulson has two heads this year! 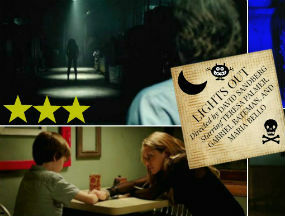 Jessica Lange, Angela Bassett, and Kathy Bates are back too! The combination of those three ladies made season 3 one of my favorites. It was so much more fun to watch than the dreary season 2. In the meantime enjoy this full length trailer. AHS always seems to have wonderful trailers. Season 4 is set in Jupiter, Florida in 1952. Click on the picture for the video. The 'Terminator' "sequels" or "reboots" look worse everyday. 'Terminator: Genisys' just wrapped production and will premiere July 1, 2015. Likewise, 'Terminator 6' will be released May 19, 2017 and 'Terminator 7' will be released June 29, 2018. 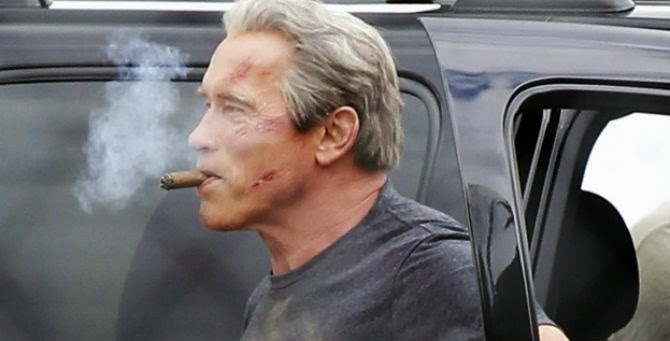 Somehow Arnie Schwarzenegger will reprise his role as an old man Terminator. Emilia Clarke ('Game of Thrones') will be Sarah Connor, Jason Clarke ('Dawn of the Planet of the Apes') is John Connor, and Jai Courtney ('Die Hard 5) will be Kyle Reese. Matt Smith ('Doctor Who') is also set to star. I'm not sure what role he will be playing. Perhaps a terminator? And I'm sorry to say, but Jai Courtney is no hot/young Michael Biehn. 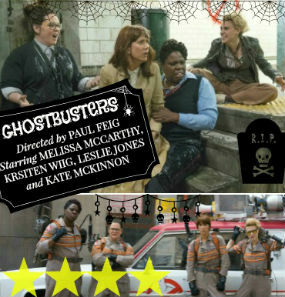 I'm so disappointed with this casting. Also, the title is awful, "Terminator: Genisys?" 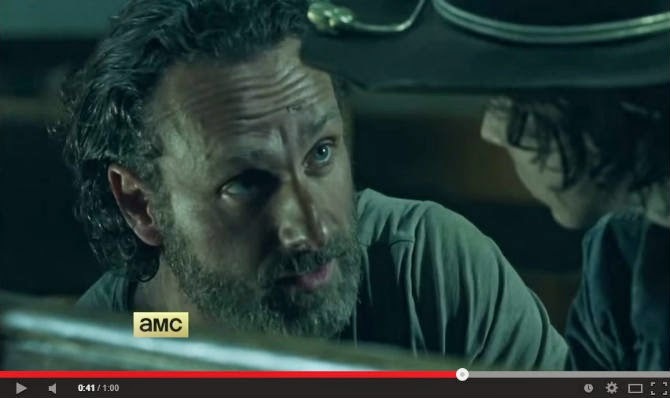 The new trailer for the 'The Walking Dead' Season 5 looks gruesome. I've been hate watching this show for a while now. I may have to give up this show altogether. The show seems to be focusing exclusively on the depravity of human nature and it's just to much for me right now. I need to watch some lighthearted fun shows, like 'Doctor Who.' I may have to give up on this show. 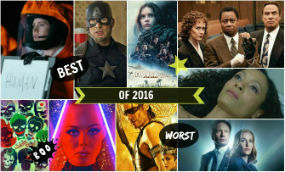 So EW Online came up with a list of summer highlights and lowlights. 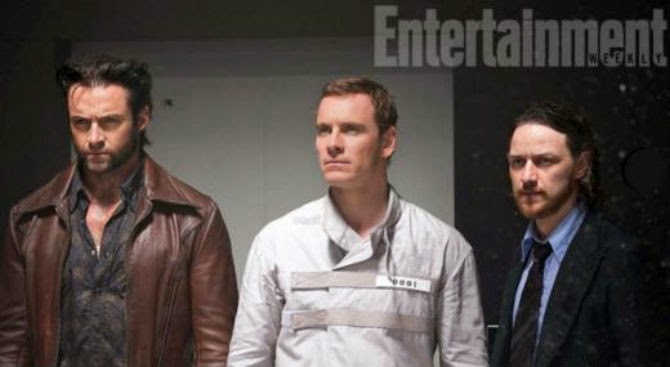 Somehow 'X-Men Days of Future Past' was a highlight. I don't know about this one. I am one of the few people who didn't really like the last 'X-Men' film. I thought it was just "meh." Hugh Jackman was wonderful as always and Evan Peters as Quicksilver stole the show, but that's about it. 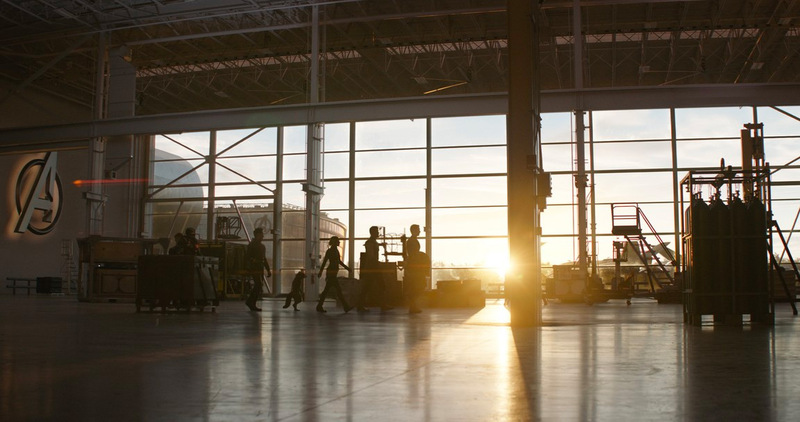 However, EW Online did get a few things right, 'Edge of Tomorrow,' 'Dawn of the Planet of the Apes,' 'Snowpiercer,' 'Lucy,' were wonderful summer flicks. They're also spot on about 'Godzilla.' I liked the 'Godzilla' remake, but the talents of Bryan Cranston and Elizabeth Olsen were completely wasted in this film. It made no sense. 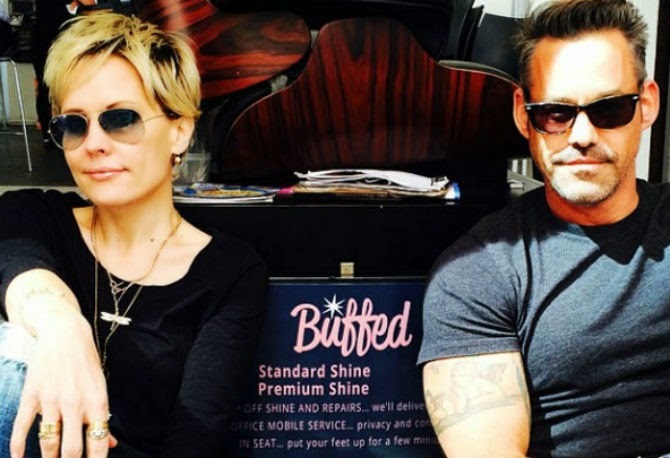 Geeze, the 'Buffy the Vampire' cast are getting old and they're taking me with them. Sarah Michelle Gellar and I are exact same age. I think we were born the same week. Boo. Then again, Michael Fassbender and I are the exact same age too (again, within the same week of each other) and he looks like he's 20 years older than me. So perhaps I'm not looking too bad. Seriously Fassy, moisturize and no more drinking. 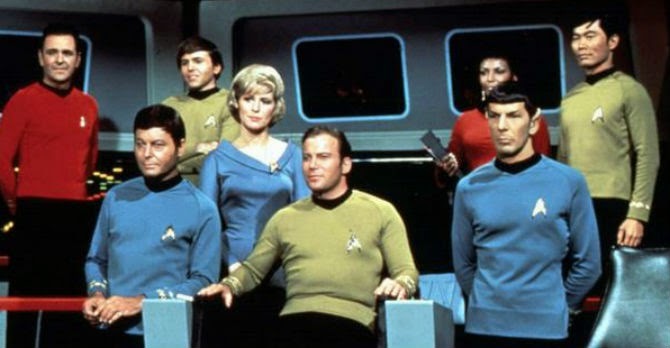 STAR TREK: THE ORIGINAL SERIES just celebrated it's 48th anniversary. I've always been a trekkie, so this makes me happy. This one came from David of Blah Blah Blah Yackity Smackity. 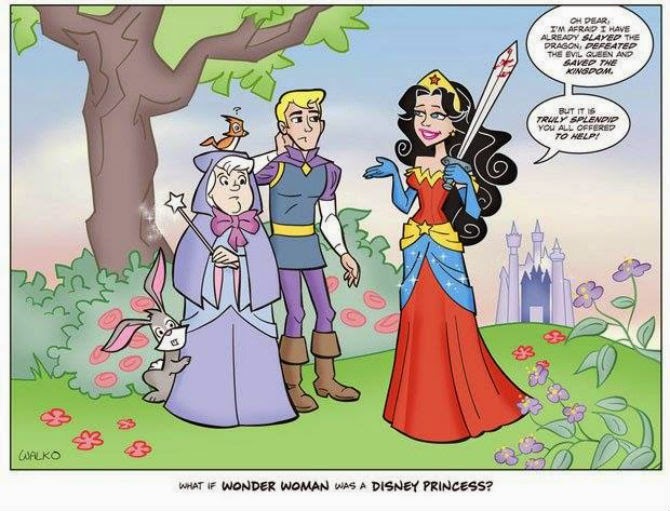 A lot of stuff is said about Disney Princesses, but what about Disney Princes! This is why I love this video, if "Disney Princes were real." It's really darling. I don't know if you have seen Deadpool doing the Spider woman pose, it is hilarious. 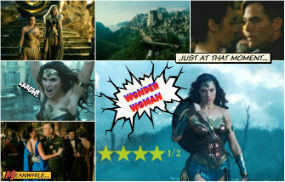 Glad you liked the WW as a Disney Princess. As soon as I saw it I knew it would be up your alley. Hoping all is well in your household. Ha, you know my taste too well! Thanks for posting that. It's great! Thank you for your kind words. Yes, things are much better now. AHS is hot and cold for me. Sometimes it's really good and sometimes it's bad. It's not one of my favorite shows, but it's fun to watch...most of the time. Edge of Tomorrow was so underrated. 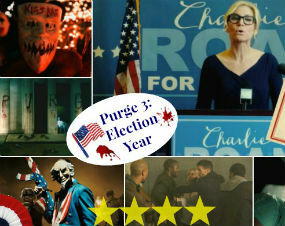 Definitely one of the better films this summer. The Terminator franchise lost me with the fourth movie. Yes, I actually liked the third one. It was plausible. I actually liked the 3rd one too. It wasn't as good as the first two, but it felt authentic. Christian Bale's Terminator film was terrible. Ha, yay! Yes we can hate watch together! That show has gone off the cliff. Carol is my favorite character. AHS: Freakshow looks fantastic! i really cannot wait for that season, even though Coven had so many disappointing plot holes despite great performances and awesome premise. I know I can't wait. I'm glad they added some new blood (i.e. Michael Chiklis). Thrilled to see Bassett and Bates again. S4 makes me so sad though b/c this will be Jessica's last season. I want her to be my second mom. I love her. I haven't heard much bout the variant cover, but yeah, it's pretty bad now that I look at it. Still Spider-Man has been in more twisted positions. Happy 48th anniversary Star Trek! Ha, ha. Yes. That's the thing Spiderman has definitely been in similar positions. I think people need to lighten up a little bit on the new Spiderwoman. Not to excuse comic book artists because sexism has been present in that arena since the medium started, but yeah, I've seen Spider-Man in almost the exact same position. I, too, liked the third Terminator. The fourth was both boring and messy. Not a good combo. Arnie's presence in future installments makes no sense. Hell, it makes even less sense that they've already given the green light to three more of them. Are there really people out there clamoring for more Terminator movies? I agree to a certain extent. The artist is European and he has a very different style than American comic book artist, so I don't think it was intentional. I do think that people are reading too much into it. The 4th terminator room was terrible. Amazingly Christian Bale was the worst thing in the movie. I know that the Terminator series needs a direction, just how many John Connors do we actually have from film to film... Arnold might be the human version, that becomes the model for the future bots. I am not really sure why comics have to display women [heroes/not heroes] as objects, maybe to draw in a bigger audience. That's what I assume. I think Arnie must be playing his "human" version. That's the only way they can pull it off, unless they want to make an aging terminator? Yes, I think comics are all about fantasy, so sometimes I think it goes a little too far. I do think people may be overreacting about the Spiderwoman thing, but it was definitely done in poor taste. Chris-- Hi there! Yes, I don't know how they're going to solve the "Arnie with grey hair scenario."